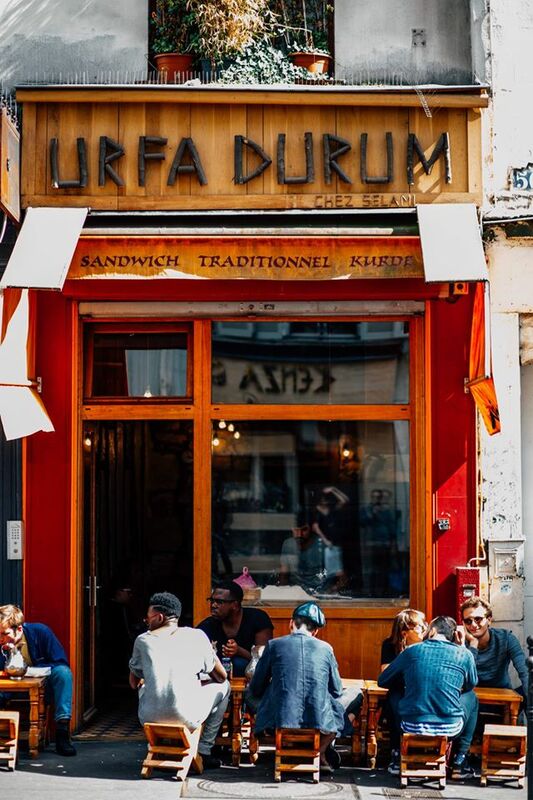 Halfway down the hip Rue de Faubourg Saint-Denis, crammed between a wine merchant and a boulangerie in an arm-span gap is Urfa Durum, a Kurdish restaurant that has only two options on its menu. The decoration is simple yet uniquely Kurdish, with low wooden stools and tables on the beautifully painted tile floor, and a painting of the Yazidi peacock god on the oak-clad wall. A large proportion of the tiny restaurant is taken up by the impressive wood-fired brick oven, into which the owner is constantly loading the freshly rolled flat breads that are a staple in all Middle Eastern cuisine. On the menu there are just two options, Lahmacun or Dürüm. The former is a kind of rolled up pizza bread with grilled lamb mincemeat, onions tomatoes and mint; at two euros it’s a great snack to takeaway. 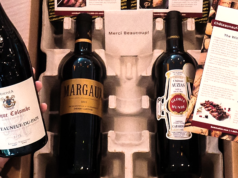 However the Dürüm steals the show. 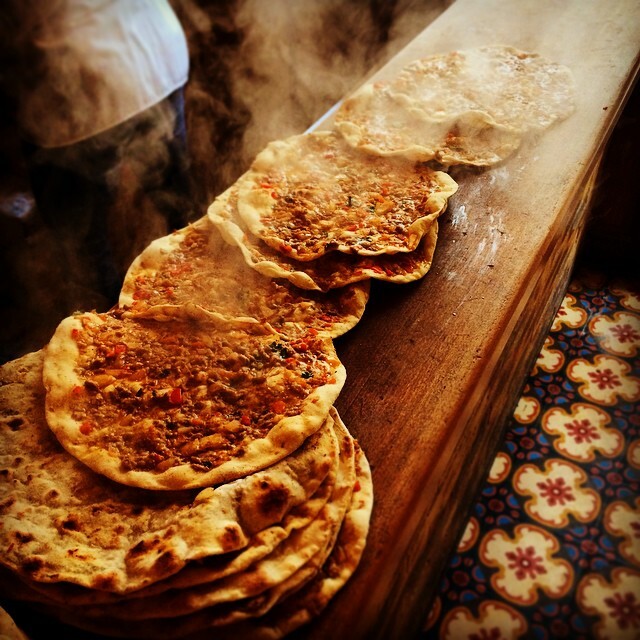 Described as a Kurdish sandwich, it is similar to a Souvlaki from Greece, with a choice of lamb, chicken and beef rolled up in the freshly baked flat breads. However it’s much lighter and more refreshing than its Greek cousin. The herbs used give a fresher taste, with mint, lemon juice and green coriander. Not a chip in sight. After eating what essentially is a kebab, I would usually feel like lying down in bed/the street, but Urfa Durum was completely different. I felt healthy and reenergized, perfect for the Parisian on the move. The original Daily Syrien consisted of a small table at the back of a newsagent’s shop where you could pick up a delicious falafel along with your copy of Le Monde. However people quickly realized that there was something special going on the in Le Daily Syrien’s kitchen and soon the joint became overcrowded. Now the restaurant also has a roomier location on rue des Petites-Écuries off Faubourg Saint-Denis, just a stone’s throw from Urfa Durum. Ahmad, the chef who hails from southern Syria, cooks a range of delicious dishes from his homeland including marinated beef Shawarma, falafel and a range of delightful salads topped with pomegranate seeds and served with hummus. 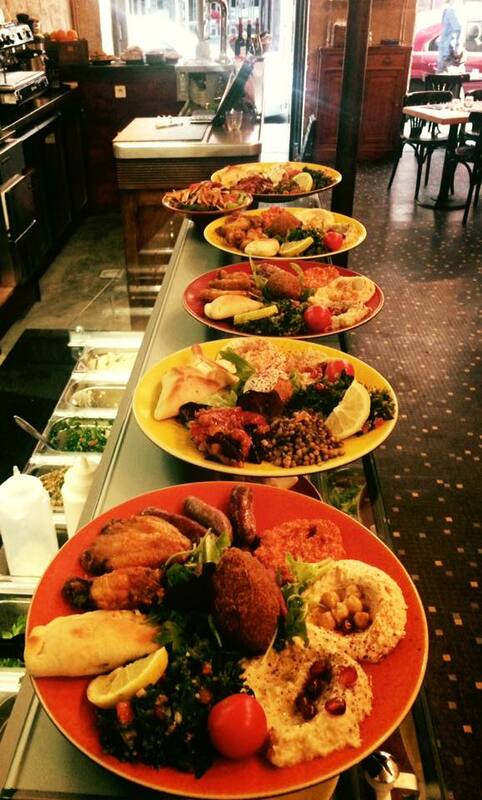 This is a great place for vegetarians too, with tabbouleh and platters of stuffed grape leaves. The atmosphere is relaxed and the service is friendly; the waiters are always happy to explain dishes in English or French. Le Daily Syrien is also very reasonably priced at around €10 per head, considering the freshness and quality of the ingredients. Today Syria is rarely spoken about without direct reference to the war that is tearing it apart. However this restaurant is a poignant reminder that this is country with a rich tradition of culture and food to be celebrated. Lebanon, the smallest country in mainland Asia, has a rich cultural history thanks to its position at the crossroads of the East and the West, between Syria and Cyprus. 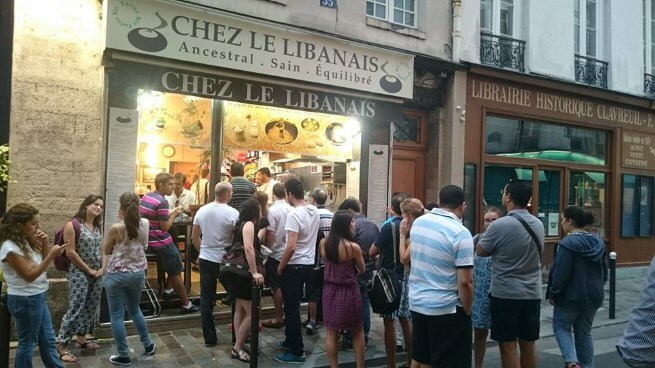 Chez de Libanais in the 6th arrondissement is perhaps the best place to sample the fruits of this culture, especially if you want easygoing street food. The first thing you will notice is the distinctive domed oven drums which are used to cook the rolled flat breads into delicious crispy discuses. The Shawarmas are fantastic, especially if you are looking for something a little more filling than Urfa Durum, combining beef, lamb, onions, tomatoes, pickles, harissa and tarator sauce. The chicken option is equally tasty, with grilled cheese, mushrooms and thyme. Value for money is fantastic here, with both of these costing just €5.50. The vegetarian options are equally impressive, with handmade falafel and plenty of fresh ingredients to combine inside those fantastic flat breads. Also available are a huge variety of Lebanese Baklava, the perfect sweet finish to your meal. 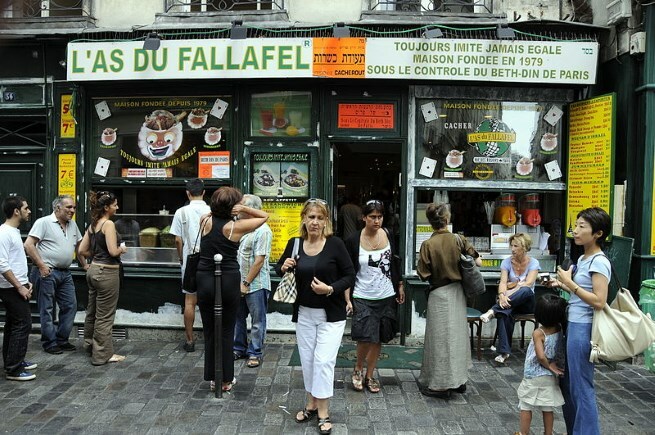 This is undisputedly the most popular falafel vendor in Paris. 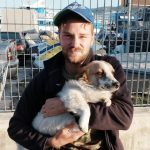 The line of tourists and locals queuing up to get their share has become so commonplace that a waiter is assigned to take these orders outside and deliver them to the kitchen. As a result the waiting time is much quicker than you might expect, so hang in there. L’As de Fallafel serves Israeli style chickpea falafel with red cabbage vinegar slaw, fried aubergine slices, cucumber and tomato, baba ghanouj and spicy harissa sauce for those who like a bit of heat. The portions are gigantic, and will leave your hands in a glorious mess of tahini and lemon juice. You can either sit inside the classically Jewish restaurant, or take away. Personally I would recommend taking your falafel around the corner to the tranquil Jardin des Rosiers-Joseph Migneret in the heart of this pretty quartier juif. You can spot all the other people who had this same idea from their tahini-stained hands and faces.